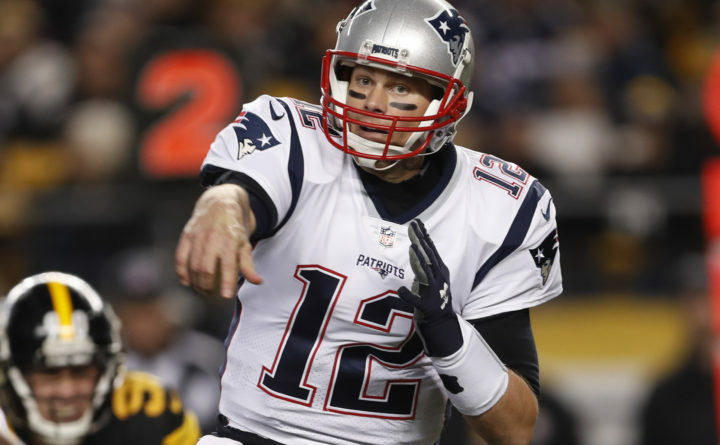 New England Patriots quarterback Tom Brady (12) throws a pass during the first half of an NFL football game against the Pittsburgh Steelers in Pittsburgh, Dec. 16, 2018. FOXBOROUGH, Massachusetts — Tom Brady doesn’t know Philip Rivers well on a personal level. But as the Patriots quarterback began his preparations for Sunday’s divisional playoff game with the Chargers, he said he only had to think back to their AFC championship game matchup during the 2007 season to remind himself of Rivers’ toughness. New England won that day and Brady enters Sunday’s game with a 7-0 record as a starter against Rivers, including 4-0 in games played in Foxborough and 2-0 in the playoffs. Rivers earned his lone victory against New England during the 2008 regular season when the Chargers were still in San Diego. Brady was sidelined for that game by a knee injury he sustained in the Patriots’ season opener and Matt Cassel started in his place. History aside, Brady said it doesn’t diminish his respect for Rivers’ abilities on the field. At age 37, Rivers ended the regular season by throwing for at least 4,000 yards for the sixth straight season. He also posted at least 30 passing touchdowns for the sixth time since becoming the Chargers’ starter in 2006. Like Brady he’s also been incredibly durable during his career, not missing a regular-season start for 13 consecutive seasons. So, too, is Los Angeles’ defense. It’s why Brady said his preparations for the Chargers started immediately after the conclusion of that game. “I was watching film all night,” Brady said. While Brady won’t have any new personnel to throw to, he did spend New England’s bye week trying to fine-tune his own skills by working out with personal throwing coach Tom House. He said he’s expecting “a great test” from the Chargers.